(2013/Jasmine) 30 titres de 1954 à 1957 (79:22). 30 plateaux démarrage à partir du roi du sax ténor klaxonnant. 15 What's The Word? Thunderbird! Red Prysock, born in Greensboro, North Carolina, the brother of balladeer Arthur Prysock, didn't actually blow a serious note on the tenor saxophone until he was in the Occupation Army in Germany, but soon starred in a GI band and upon his discharge joined Cootie Williams' band in New York. 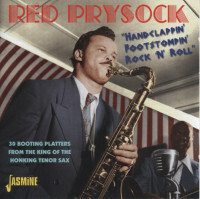 He later played with Tiny Grimes and Tiny Bradshaw before forming his own band in 1953, recording for Red Robin then signing with Mercury, where he made a string of storming rock'n'roll instrumentals in the mid-Fifties, including the frantic 'Foot Stomping' which cul-minated in an archetypal honking single-note climax. He subsequently recorded for King in 1961 and resurfaced briefly on Chess in 1968. 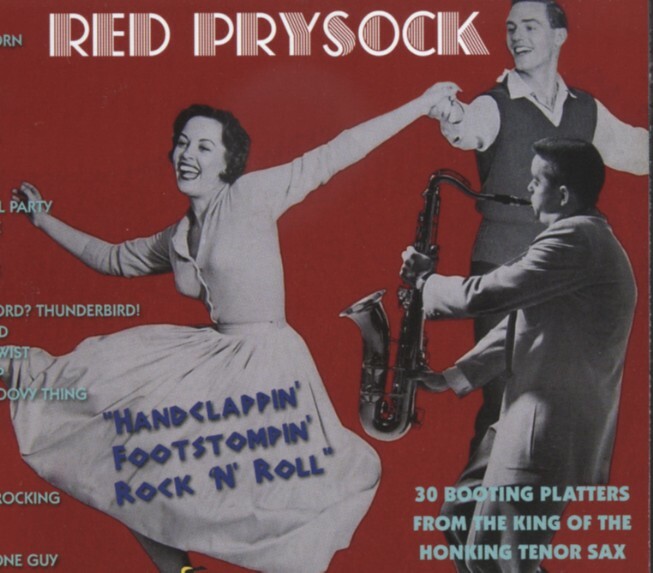 Évaluations de clients pour "Prysock, Red Handclappin', Footstompin' Rock & Roll"